Quantumitinnovation, an iPad app development company in USA, has been leading the industry for the last 9 years. We are developing the best-in-class UI and UX for iPad Mini-Series or the original iPad itself. Each app we create is the direct result of our strong planning & analysis of the client’s idea, end audience, ongoing market trends, and multiple project-execution technologies. Our developers are able to envision an idea from scratch, and build-up it step-by-step to turn it into a valuable digital product for a market. We can handle your iPad app development requirements as much as you want, including complete turn-key app design and production, and beyond. Every app project is moved on through the agile methodology to execute various steps in quick turnaround time. We are there to make sure your marketing needs and technical specifications get the right attention. Apart from working with technical schematics, we hold a detailed discussion of every aspect covered in an iPad app development project. It includes discussing your goals, your needs, and your budget. We talk about your target audience, and only when we have a firm idea of what you hope to achieve and how we’ll do that does our iPad app developer team go to work designing your app. Our developers are able to conceive an idea from scratch, and build-up it step-by-step to turn it into a productive digital product for a business. Our apps not only satisfy the requirements of your business but also meet the quality measures, at the same time not compromising on rich visual features. All project passes through a well-defined approach, whether it’s for the small-medium enterprise or for a large corporation. Also, our developers hold distinct expertise in exploring many platform-features like location service, push notification, in-app purchase, as well as app development tools like HD graphic, External APIs, various game frameworks and, are coupling them with suitable customization and then adding to an iPad app development project. 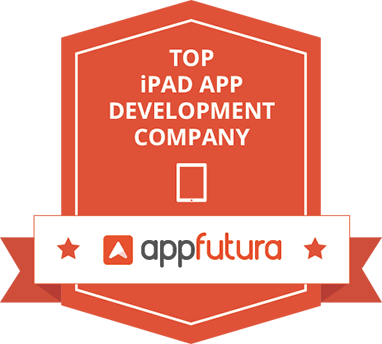 We are one of the leading iPad app development services companies worldwide. We build secure, responsive, high performance, compatible and engaging iPhone app solutions. We are using the XCode to build apps with the iOS 11 SDK which includes over 7000 new APIs and services that are enabling new categories of apps and features such as multitasking. If you want confidentiality of your app idea, we do that. If you want us to sign an NDA, we do that too. The source-code of your app entirely belongs to you. We work just as a service provider. We are able to offer project fix cost or hourly rates. But, to provide you a genuine price quote we require a complete overview that explains the application in as much detail as possible. Our app development company has a highly competent team with more than 9 years and veterans offering robust iPad solutions whether being an iPad Mini-Series or the original iPad itself. iPad is most popular after tablets across the world. We are reputed iPad Development Company having expertise in all kinds of development such as Android, iOS, iPad etc. We use all tools such as Photokit, Handoff, Appkit, Watchkit, Manual camera controls, Touch ID. Our developed apps not only suit the requirements of your business but also meet the quality standards at the affordable price. We assure that partnering with Quantum – the leading iPad app development company in USA takes you towards the right direction. We work with a business, small-medium enterprise and for a large corporation also. India and the US is the hub of expert app development companies. It is easy to hire the best expert at a reasonable price in India. We have served huge clientele across the globe for web and app development and gained the reputation as app Development Company worldwide. Why Choose Quantum for iPad App development company? Customer-Centric Process – We offer efficient, tailored solutions for your business and a transparent work-flow, allowing all our clients access to the project under development with regular updates. Authentic, 100% secure, and quality oriented work process. Comprehensive App Testing & Support -We check and test the final version of the app for cross-platform compatibility, graphics, navigation, and user experience, overall quality to ensure a perfect and bug-free app. Strict Adherence to Development Guidelines – From app development consultations and discussions to final delivery, we at Quantum believe in laying down ground rules at offset for the entire project. This allows for a greater clarity of the project ensuring timely delivery and great quality. Affordable prices we also work towards developing custom payment options for all our clients. With offices in India, UK, and the USA, we are an iPad app development services company that caters to the global client base. We employ advanced methodologies and strategies to provide amazing unique app design and app development, iPhone, Web application development, Cross-Platform, swift, Hybrid and Native app development, SEO and PPC service. We have a strong team of 50+ talented app designers and experienced mobile app developers who are well-versed to build apps that use the futuristic approach in scale and scope. As we are leading iPad app Development Company we build the website and mobile apps for every user, industry, and every platform. No technology is left untouched as we believe in adopting new trends & technologies that change with time and user demands.